Create a stunning outdoor space that the whole family will enjoy by spending some time landscaping your garden. Many people are put off gardening by thinking that it takes too long and is tiring work; but it can be a perfect hour’s pastime on a sunny day, and the result is a beautiful relaxing space. Encourage children outside by creating a fun play area or prune your garden to become the perfect place to have friends over and entertain. 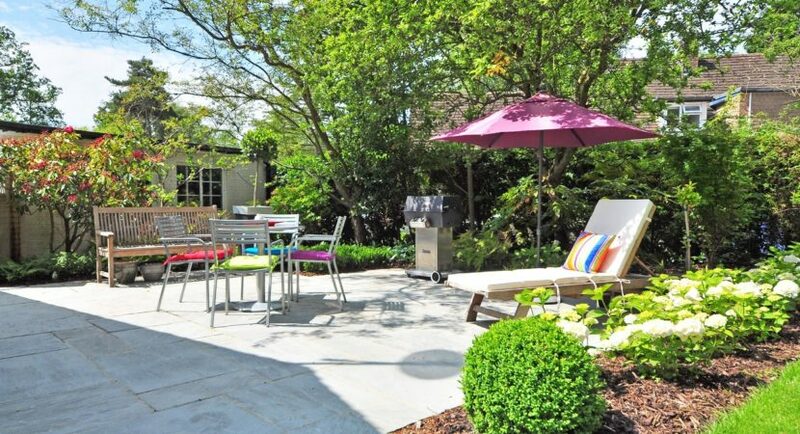 Follow these quick and simple tips to get your garden looking amazing before summer comes. It’s wild how much cutting your hedges back can expand the look and size of your garden. Unruly hedges make the space look cramped, especially if your garden is small to begin with. Regularly trim them back to avoid them encroaching into your garden space. Randomly-placed shrubs, dead bushes and unwanted trees restrict the size of your garden by taking up space. You can create much more open space by removing these. Consult a local gardener or tree removal company like those at chicagoiltreeremoval.com. This is an obvious point, but neat trimmed grass improves the look of your garden exponentially, making it look like an inviting place to sunbathe or play with children. Mow your lawn once a week – or at least once a fortnight – cutting down a third of the leaf blade’s height. It becomes the perfect foundation for garden furniture or kid’s play equipment. If you’re not keen on tending to your garden regularly and want to keep it low maintenance, you can still enhance your garden with plants – just pick the right ones! Perennials – these are plants that tend to live for 2+ years and are easy to maintain once established. These include tomatoes, potatoes, sage, basil, cosmos flowers, lilac and more. Herbs such as oregano, mint, coriander, dill and chives. Leafy greens like lettuce, spinach and rocket. Growing plants in pots, especially flowers, rather than directly into the garden means they are much easier to tend to. Scattering a few large pots around paths and on decking looks cute and colorful. Remember to treat them with nutrient-filled compost or plant food to get them growing fast and strong. It will fill with rainwater and means you’ll remember to water your garden. Leave it by your back door so that you see it each time you step outside. Don’t water your plants too much – check if they need water by touching the soil. If it’s damp, no watering needs to be done yet. Not so much a landscaping tip; but this will help you out in the long run if you want to take up gardening as a more regular hobby. Make a note of when you planted what and where, and record its progression. You can jot down successes and disappointments and include why you think things went right or wrong. This is so that you can avoid planting disasters in the future. For example, make a note not to plant a particular flower in the shade, or plan to plant a certain bulb in a different season for a better result next time. Rope in the kids and get them involved with planting sunflowers and watching them grow – these plants are quick and easy to grow, and kids love to see how tall they can get. Have a friend come over to help with sowing seeds and planting bulbs, because everything is more fun with a partner. Make it a social occasion with a cup of tea or glass of wine for a job well done. Then repay the favor and lend a hand in their garden!